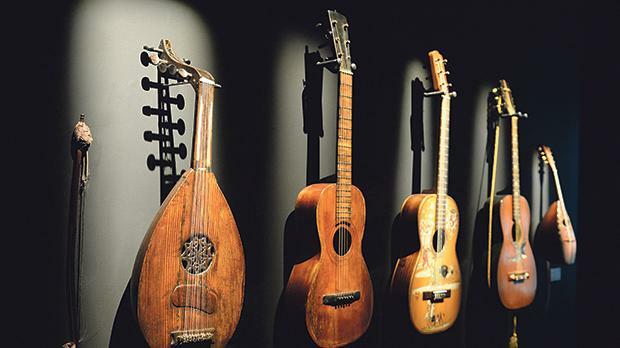 A Greek lyre tombstone dating circa AD200, an 18th-century positive organ, a 19th-century Arab oud and the local ċuqlajta (wooden clapper) are among the many items on display in Mdina as part of a major project tracing the history of Maltese music. Organised by Fondazzjoni Patrimonju Malti, Music in Malta – From Prehistory to Vinyl aims to shed light on the diverse influences that have shaped the island’s musical culture. The project also includes a full programme of performances by local and foreign artists. 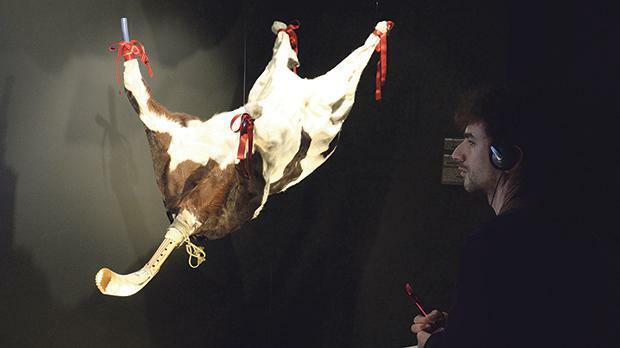 “There has never been an exhibition of this kind locally,” Anna Borg Cardona, a music historian and the exhibition’s guest curator, wrote in The Sunday Times of Malta. “Never have so many musical artefacts, instruments and manuscripts been collected into one space to give us such a defined and tangible picture of our musical culture and heritage,” she continued. 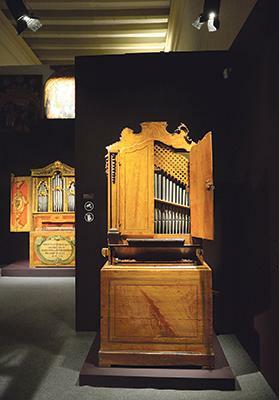 Visitors to the Mdina Cathedral Museum will walk through a number of broadly defined sections titled In the Beginning, Sacred Music, Folk, Baroque to Romantic, Il-Banda and Early Recordings. 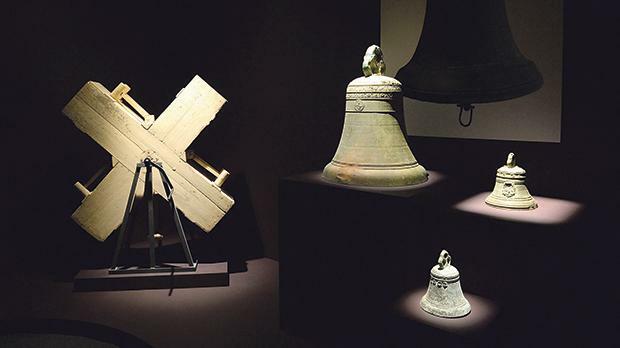 Among others, they may admire a 1st century BC Roman bone clapper, an 18th-century harp with a guilt cherub decoration, a Maltese kitarrina from the early 19th century and a natural trumpet by Daniel Kodisch, dating circa 1720 from Nuremberg, Germany. 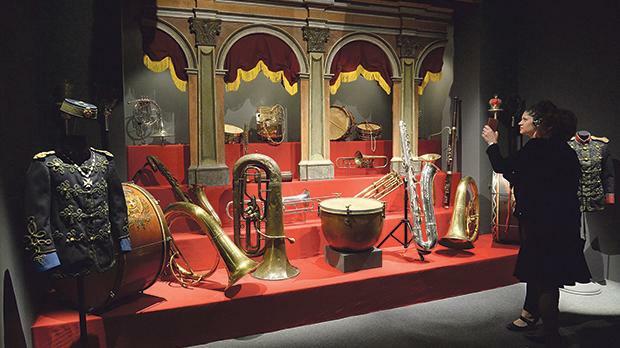 There is also a bronja or charonia shell trumpet, which was blown by generations of millers in Żurrieq, and a piano with janissary features from Trieste made by Johann Heichele (active 1790-1820s). Also on display is the Royas Gradual, an illuminated gradual (a book of plainsong for Mass) with the crest of Bishop Martin Royas (1572-1577). 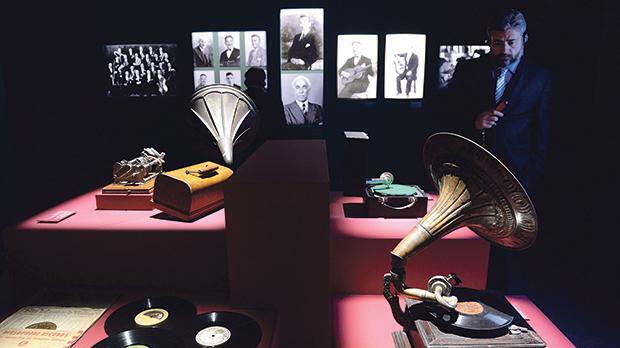 A section is also dedicated to early Maltese recordings and includes vinyl and a 1920s phonograph. 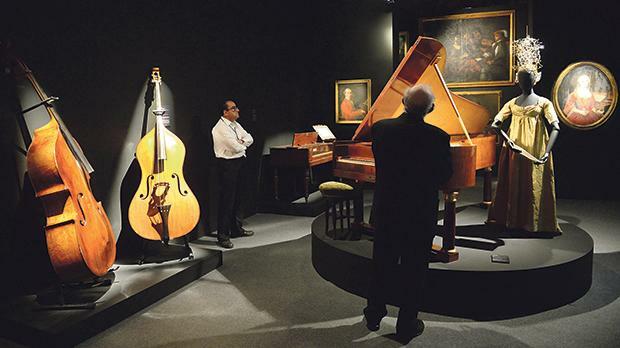 All the exhibits have been sourced from Maltese private and public entities including Heritage Malta, De Rohan Band Club of Żebbuġ (Malta), the Grand Master’s Palace and La Valette Band Club. A fully-illustrated catalogue, comprising contributions by various academics, accompanies the exhibition which runs until June 16. There will also be a series of public lectures and workshops by local and foreign artists, giving further insight on traditional instruments and sounds. The musical programme, which started at the end of last year during Valletta’s tenure as European Capital of Culture, features popular to folk and classical performances. Local band Etnika, known for using ethnic sounds in novel contexts, started the series of concerts at the end of November, to be followed by Cappella Sancta Catharinae, a local choral ensemble of male voices. A more recent concert was held last month by Ġukulari Ensemble, which plays Maltese folk instruments and Malta-related music. Coming up next are two concerts by local sound artist, composer and musician Renzo Spiteri, at Palazzo de Piro, Mdina, on April 26. On May 9, An Evening of Strings will bring together a number of musicians, including Lucie Kucharova, Frank Camilleri, Václav Dvořák and Ayako Omoto, who will perform pieces by Bach, Beethoven, Kummer and Dotzauer. This event, being held at the Chapter Hall of Mdina Cathedral, is free of charge. The National Youth Band, set up especially for this project, will march along the streets of Mdina in the morning of May 19. Members of all band clubs exhibiting their instruments will be invited to accompany this band. Mascarimiri, a band from Puglia, Italy, specialising in the tambur, and world music group AYWA will join forces in a concert at the Mdina ditch on May 24. Ending the programme of performances will be two recitals by a trio of musicians from Crete, Spain and Iran at the courtyard of the Mdina Cathedral Museum on June 12 and 13. They are Stelios Petrakis, a well-known performer and maker of Cretan lute of the new generation; Efrén López, a Valencian multi-instrumentalist, founder of Catalan group L’Ham de Foc and collaborator with many bands dedicated to European early music; and percussionist Bijan Chemirani. He was born into a musical family and is heir to the great tradition of the Persian zarb. The performances are coordinated by Renzo Spiteri and Gaby Giacchino from #EngageCREATIVES, a support platform for cultural organisations and creatives. Mr Spiteri also led the creative production of the exhibition in terms of both the audio and visual material that is being exhibited. The Mdina Cathedral Museum is open from Monday to Saturday from 9.30am to 4.15pm (last entrance). For more information, visit www.musicinmalta.com or the event’s Facebook page. 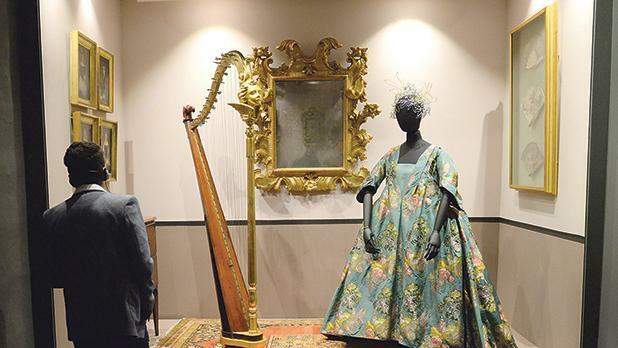 An 18th-century harp with a gilt cherub decoration and gilt claw feet is one of the many instruments on display at the Music in Malta – From Prehistory to Vinyl exhibition at the Mdina Cathedral Museum.